Some grasses need more water than others. 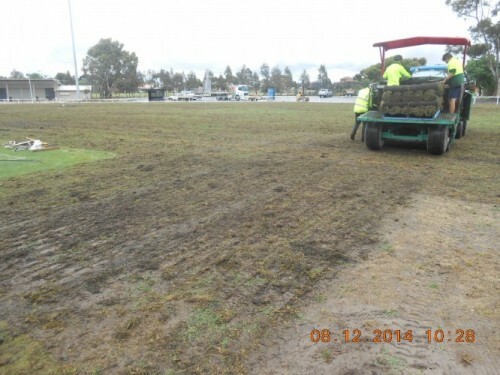 To insulate Brimbank's playing fields against drought we've been planting warm season grasses for over five years. Warm season grasses use around six mega litres less per hectare per year compared to cool season grasses (around 12 mega litres). That's a massive 50% reduction in water use in Brimbank to keep our fields green! Santa Anna Couch grass is used for our fields. It's is a hybrid grass developed in the USA in the 1950s. 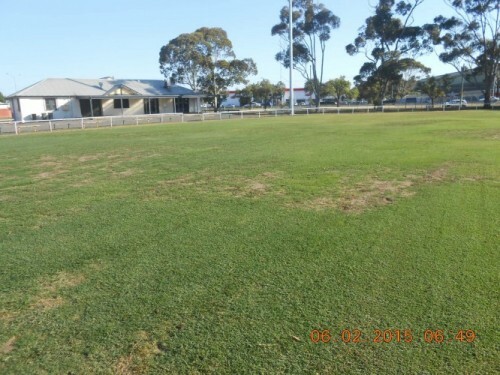 We use Santa Anna Couch as it is the best performing couch grass for sports grounds in Melbourne. Line planting is the process of feeding instant turf into a machine. The machine breaks the instant turf up into small pieces ('sprigs'). It then sends them down a shoot and into a furrow into the ground's surface created by the machine's boot plough. The sprigs are then pushed into the ground. 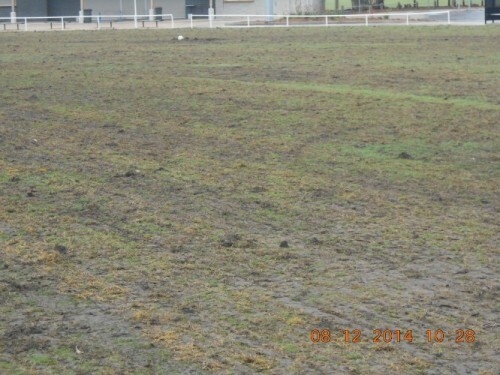 After planting the ground is kept moist for ten days for the grass to establish. spray out weeds with careful applications of selective herbicides. Using the line planting method takes around 100-120 days to establish 100% grass cover. Line planting costs as little as $20,000. This can be up to $100,000 cheaper than re-turfing. Spread over Brimbank's many parks line planting can save hundreds of thousands of dollars for the community. Green Gully No. 6 training ground at 2.1ha has been the largest site we have planted. In recent years Brimbank has planted six sites with 20 more on the to-do list!